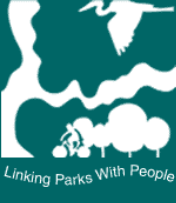 Camden Greenways Plan - Camden Greenways Inc. The Camden Greenways Plan is the guiding document of Camden Greenways Inc. It was completed in 1997, building off of the Cooper River Study (1990), the North Camden Waterfront Park Conceptual Planning Study (1995), and the Cramer Hill Greenway Open Space Plan (1997). 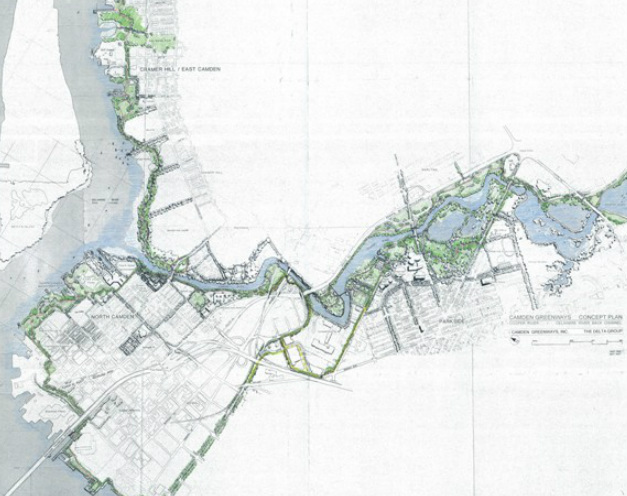 The primary goal of the plan is to provide a continuous recreation and open space system along the City's principal river shorelines, linking Camden County Cooper River Park at Route 130 with six existing parks (Farnham and Camden Parks in Parkside, Cornelius Martin and Pyne Poynt Parks in North Camden, Von Neida Park in Cramer Hill/East Camden, and the Wiggins Waterfront Park/New Jersey State Aquarium in downtown Camden).